There is no set timeframe of when you need to add salt to your pool. Because salt does not dissipate from your water, the only time you would add salt to your pool is when you add fresh water or after heavy rain that dilutes salinity levels. An example of when you would add fresh water is after a heavy backwashing cycle. pool, or use a home saltwater test kit. 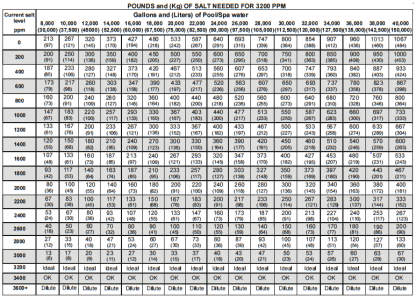 Once you have the salt levels noted, consult your owner’s manual’s salt chart to determine how much salt is needed to raise your pool’s water levels. 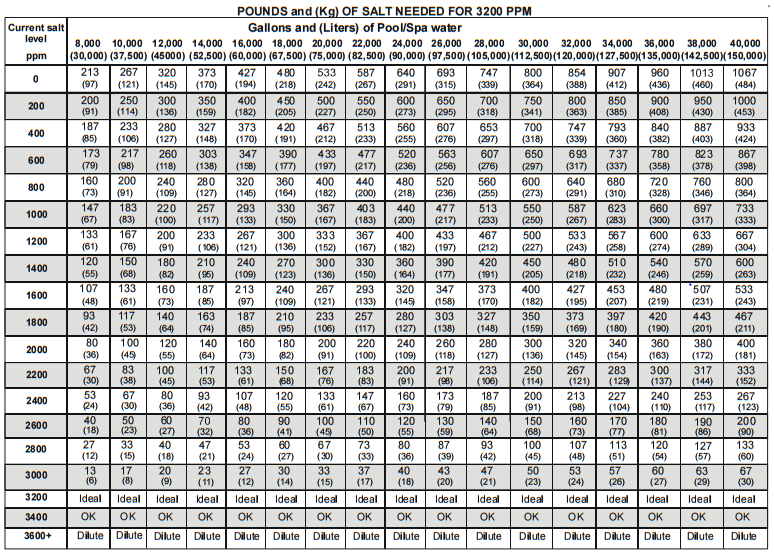 The picture to the left is an example of a salt-to-gallons chart found in the Hayward AquaRiteliterature. If you need help estimating gallons, use this pool volume calculator. If you have any questions about how often you should add salt to your pool, feel free to leave a comment below. The chlorine generator breaks the salt into it’s two components to create the chlorine level in the water. If you don’t have the correct level stabilizer (comically shortened to CYA) then the sun evaporates the chlorine from the water. I believe that even with the CYA correct there is still an amount of evaporation of the chlorine. The other thing I often hear is that the chlorine (CL) rejoins with the sodium (NA) in the water to make new salt (NACL). I dont believe this is possible in the water without some sort of chemical process or catalyst. So if the salt is broken down into its components and either one disappears or they are not able to come back together then the salt levels would consistently lower as the system operates. That explains why I have to add 120 – 160lbs of salt every year to my 14,000 gallon pool. Could the left over sodium then explain why either my hardness level is higher then when the pool was new and climbing constantly, or why I always need to add acid to adjust the ph levels down? Okay, that made go look up how it works and they way I described is not correct Electrolysis creates hydrogen gas, hypochlorous acid and hypochlorous ions from the water and salt solution. Now I gotta figure out why I have to add so much salt each year. If I turn off autofill the pool level does not go down over a several week period so I don’t think it’s leak. But now that you are an expert on salt chlorine generators, it is time to find that leak. If you are looking for a quick fix in the meantime look into Marlig Fix-a-Leak. It is a nice stop gap (no pun intended), so you can you put off heavy repairs for later in the summer or fall. If you want to read more on whether Marlig might work for you, read our blog on the subject: Will Marlig Fix-a-Leak Work for Me? Is your pump a dual or variable speed pump? If your pump switches to a lower RPM that drops the flow rate below the required GPM for the unit, then you will see that alert. How often do i add salt to my 4440 gal pool? If you go back and watch video again, we explain you only need to add salt in the examples we illustrate. We have to clean or salt cell every week and each time it has huge calcium build ups on it. Our pool is 2 1/2 years old. It’s a 10,000 gallon pool and we live in AZ. Sarah, we live in Arizona too and have the same problem as you. I am constantly cleaning the calcium build up from my salt cell as well. When it works well the pool is a dream. When I have to clean the cell every week it becomes a nightmare. 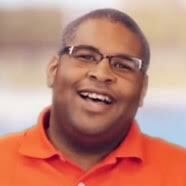 Sometimes I consider changing over to regular chlorine pool system. Help from someone would be appreciated. Thank You.